Ever wanted to play a sushi-themed action puzzle RPG? 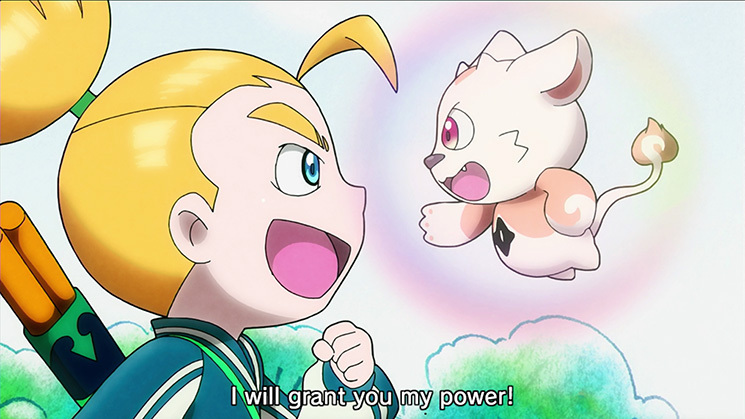 If so, Sushi Striker: The Way of Sushido has you covered. 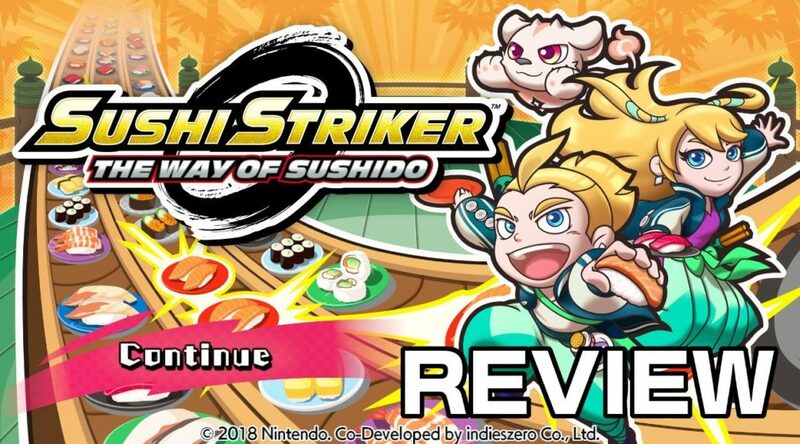 This 3DS and Switch game (Switch version reviewed) is a new game from Nintendo and Indieszero, where you must eat massive quantities of sushi in order to defeat an evil empire. (It doesn’t make much more sense even in context.) Is this sushi to die for? Read on to find out. When you turn on the game, you’re presented with a high-energy music video reminiscent of an anime opening, and this sets the tone for the entire game. Occasional fully voiced and animated cutscenes make room for partially voiced scenes before most levels. Despite the creativity of the concept (wars and battles centered around eating sushi), the story doesn’t break any new ground and feels like a fairly generic shonen anime. I never found myself caring about the Sushi Struggles or the evil Empire, but each story segment serves as a convenient bridge from one battle to the next. The puzzle gameplay is what will make or break your opinion of the game. Conveyor belts full of sushi slide in front of the player, and you must connect plates of the same color to eat the sushi. Once eaten, you can throw the stack of plates at your foe who is also eating their own sushi. Naturally, taller stacks of plates deal more damage. Throughout the adventure, you also meet Sushi Sprites, Pokemon-like spirits who create the world’s sushi, who can assist you in battle with special abilities. The player character and sprites naturally gain EXP after every battle and level up to improve in various ways. The game supports controller and touch screen input, and it’s clear which method was intended: the controller input feels a bit slow and clunky compared with the touch controls, which is a major disadvantage in such a fast-paced game. Using a capacitive stylus gives the best experience with the Switch version of the game, but a stylus is something most players might not have. The battles themselves are fast and frantic, and a keen eye and fast reflexes must be used to link up the highest number of plates to more quickly knock out your enemy. A strong performance grants you higher ranks, and completing specific objectives (such as having over 80% of your HP left, or finishing the battle under a certain amount of time) give you up to 3 stars on each battle. In theory, this gives advanced players something to work towards, but in practice, getting S rankings and all 3 stars is quite easy if you simply return to earlier battles after leveling up your character and Sprites. And replaying battles still grants you EXP, so it’s a simple matter to grind on earlier battles in order to gain the upper hand on any tough enemy. In this way, the RPG elements works against the puzzle game elements: the character’s level seems more important than the player’s actual skill. 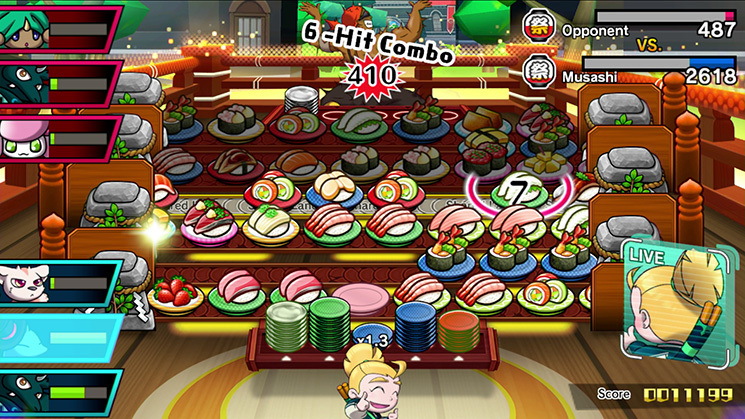 On top of the Sprites and their abilities, you can also set a “favorite sushi” that grants a buff in battle; there are items you can use to level up Sushi Sprite abilities; there are powerups that can show up in the shared lane during battle; there’s a ranking system that requires you to visit the Sushi Shrine to upgrade. These mechanics keep things interesting and add some strategy, but no matter what tactics you try, the core gameplay remains largely unchanged. Instead the variety comes from new enemy abilities that are introduced periodically. For example, a shield that can only be pierced by stacks of plates 6 tall or higher. Without new twists like this, the game would get dull very quickly. 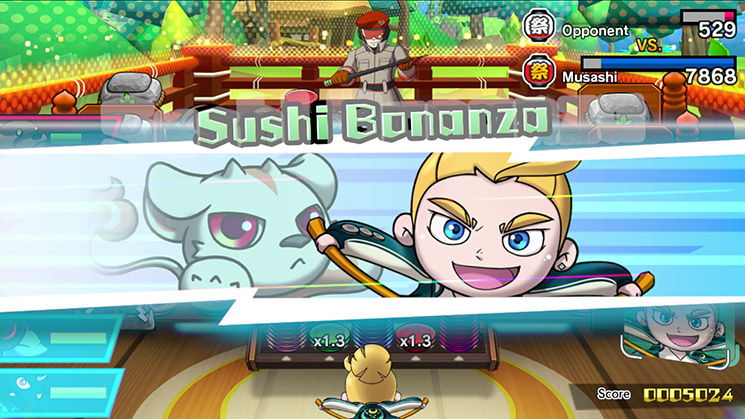 Sushi Striker is a creative new puzzle game, with the level of polish you’d expect from a Nintendo-published title. 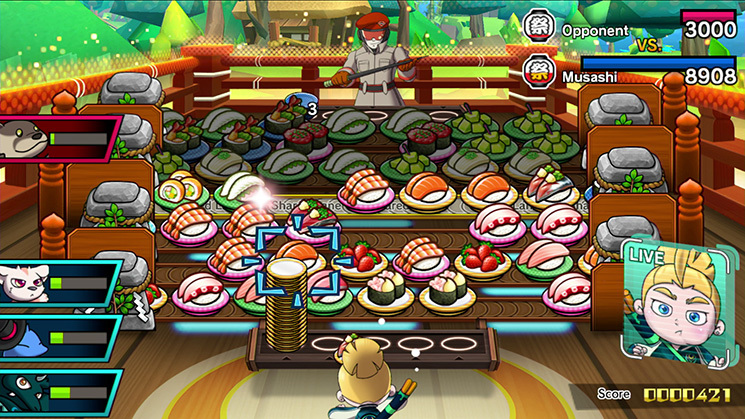 If you enjoy the basic gameplay, the story will deliver it to you alongside a large helping of sushi-themed silliness. But one wonders whether the game might have been made better by trimming the fat and presenting a pure puzzle experience. That may just be down to personal preference, but even still, Sushi Striker is a solid title with lots of fun to be had. If you enjoyed the demo, the full game will give you your money’s worth. Soup Verdict: A delicious recipe that kids are sure to enjoy, but it might not be for everyone. A code was provided by Nintendo for the purposes of this review.